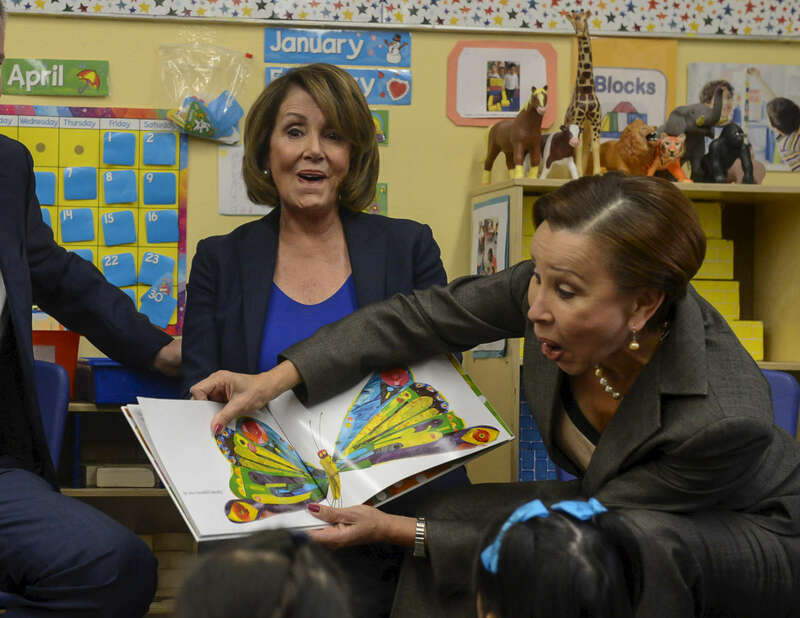 Mayor Bill de Blasio, Minority Leader of the United States House of Representatives Nancy Pelosi and Congresswoman Nydia Velázquez visit and read books to Pre-K class inside P.S. 123 Suydam located at 100 Irving Avenue in Brooklyn on Wednesday, April 6, 2016. United States House of Representatives Nancy Pelosi is promoting Pre-K for All as a program to emulate nationally as part of her women's and children's economic agenda.